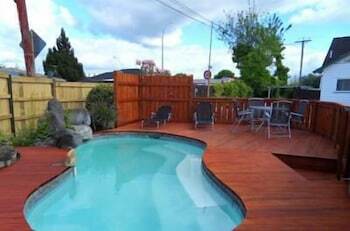 At Utuhina Hot Springs Lodge you'll be 1.9 km (1.2 mi) from Tamaki Maori Village and 2.3 km (1.4 mi) from Polynesian Spa. 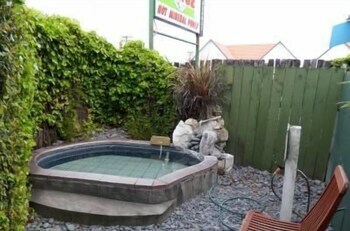 Highlights at this property include an outdoor swimming pool, free self parking, and a spa tub. Each apartment features free WiFi, a TV, and a coffee/tea maker. A fridge and a microwave make in-room dining convenient. This smoke-free apartment offers free WiFi in public areas, barbecues, and tour/ticket assistance. 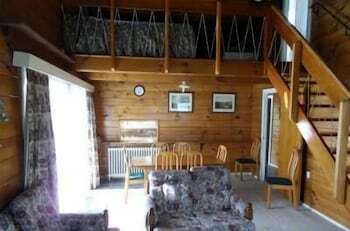 Added amenities include a sauna and laundry facilities. 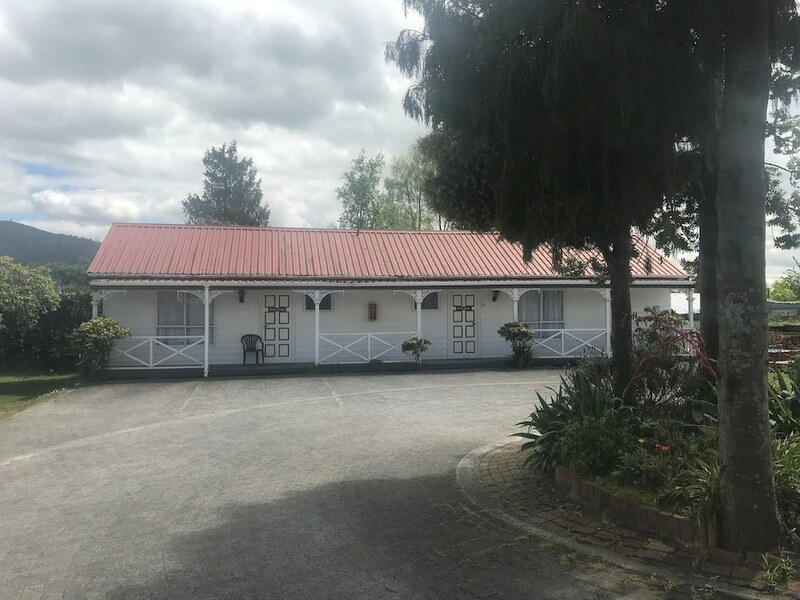 With a stay at this Rotorua property, you'll be 2.8 km (1.7 mi) from Skyline Rotorua and 3.4 km (2.1 mi) from Lake Rotorua. 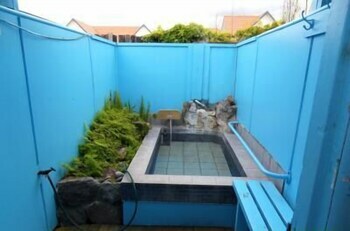 Central location, fresh mineral small hot pool. 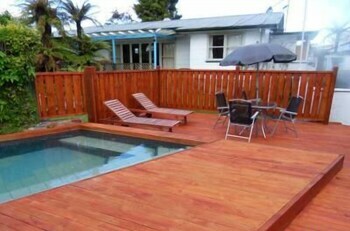 Only 1 pool operating, not like pictures or any other indication online. It's obvious other pools have been unused for some time. If just replaced bathroom flooring & freshen up some of the paint in the bathroom, it would get a tidy rating. Reception guy was friendly and helpful. Nice warm room. Clean linen. I guess, overall, you pay for what you get / don't get! This place is the absolute worst. The entire facility is in disrepair - very shonky appearance - looks looks like it should be condemned. The room had a faulty light fitting, the shower did not produce more than a trickle, there was a large collection of black hair on the floor and the toilet was somold and dirty I couldn’t bring myself to use it. The entry way to my room was adorned with cigarette boxes and some discarded shampoo bottles. Really very poor. Shame about the hot pools not working. Lovely hostess good communication with her, very helpful. However suggest that guests are given more than 1 pillow each as they are very flat. Towels are rather small.. nice new curtains in the unit. Unit was a little tired but we would stay again. Surprised that no milk was provided. The room itself was comfortable. However, the rest of the place seemed to be in great disrepair. We weren't able to park outside our room, because of the condition of the drive. It was very hard to rouse the managers. 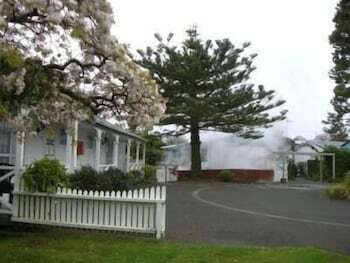 The hot spring was right outside our window, so we would get whiffs of sulphur coming through. 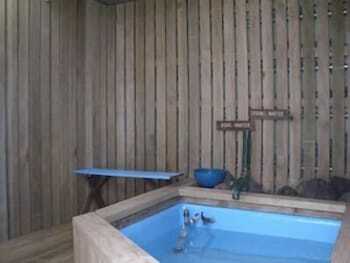 Utuhina Hot Springs Lodge offers its guests an outdoor pool, a spa tub, and a sauna. WiFi is free in public spaces. 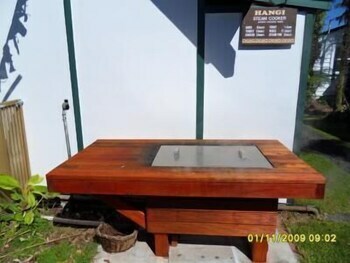 Tour or ticket assistance, a BBQ, and laundry facilities are also featured at Utuhina Hot Springs Lodge. Self parking is free. 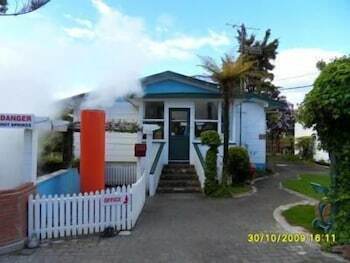 This Rotorua apartment is smoke free. 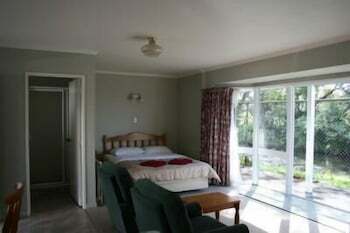 Utuhina Hot Springs Lodge offers 14 forms of accommodation with coffee/tea makers. Fridges and microwaves are provided. 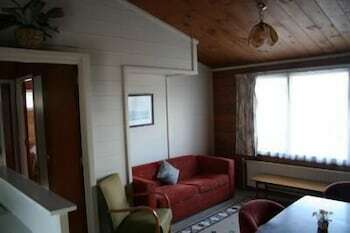 This Rotorua apartment provides complimentary wireless Internet access. Cable televisions are provided. The front desk is open daily from 2 PM - 8 PM. The front desk at this property is open daily from 2 PM - 8 PM.